Graham Salisbury, winner of the Scott O'Dell and Boston Globe-Horn Book Awards, grew up in Hawaii during the 1950's, and the lion's share of his fiction is set there. He writes about boys of all races trying to carve an identity for themselves and struggling to make moral decisions as they grow into manhood. The first section of this book chronicles the labyrinthine path of Salisbury's life and career: from barefoot island boy to college dropout, from bubblegum pop musician to schoolteacher, and from real estate manager to young adult author. The book then offers a critical context for Salisbury's work, discussing his novels in terms of plot and style: analyzing literary themes and examining critical responses to his work. Salisbury's use of archetypes and the coming of age stories that dominate his work are explored in depth. Fans are also treated to a peek at some of Salisbury's future projects. Librarians, teachers, and teen readers will find this critical biography to be a useful resource for the library, classroom, and reference bookshelf. 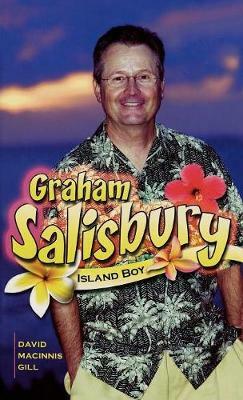 Gill (English education, University of North Carolina) chronicles the life and career of Graham Salisbury, who has written seven children's books since 1991 set in his native Hawaii. He also analyzes the characters in each book, summarizes the plots, and compares the protagonists and themes that reappear throughout the stories.